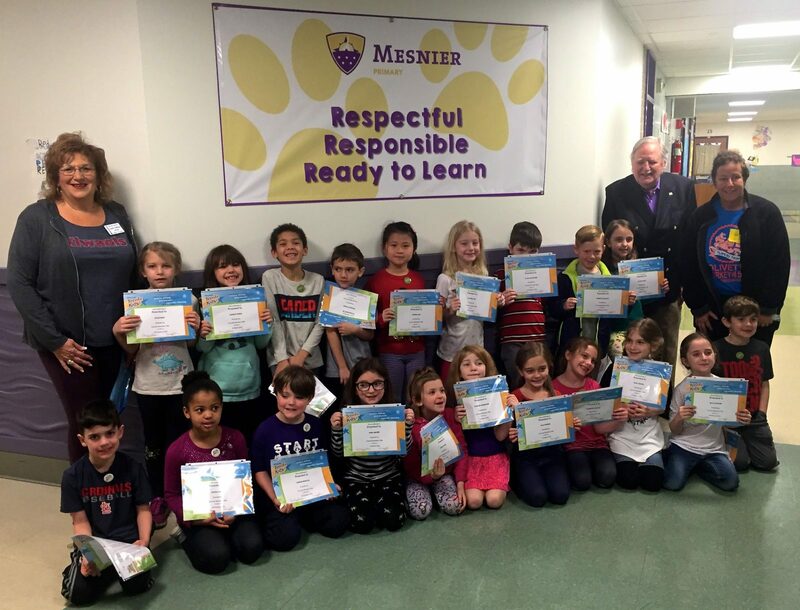 Mesnier Elementary’s 10 first-grade classes honored both the February and March Terrific Kids in March due to the ice storm that closed the school in February. Pictured above in the first row, from left to right are Lucas Herrell, Sophia Cole, Connor Winkler, Edna Brown, Leah Kunzie, Lilly Kirsh, Teagan Schroeder, Cameryn Klepzig, Ruby Daniel, Maya Antoine, Samuel Martin. Pictured in the second row from left to right are Rylie Bain, Charlie Rider, Finn Kirksey, Charles Farris, Joanna Sun, Lily Shelton, Clark Ohlendorf, Korbin Schaefer, Sayra Sarac. The Kiwanis Program Sponsors, left to right, are Carla O’Brien, Robert Praprotnik, Ellen Sandweiss.